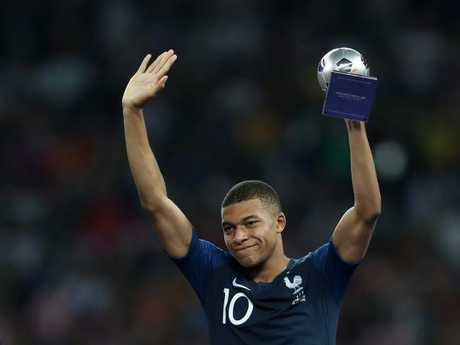 THREE things decided the 2018 World Cup final - French efficiency, one percenters and Kylian Mbappe. France's extra days' break was crucial at this late stage and while Croatia's players showed once again they don't give in, too many players appeared cooked in the second half. Even so, without Mbappe it would have been a different result as Croatia was overall better and two goals usually wins you a World Cup. Conceding four was a combination of poor set piece defending, bad luck and Mbappe. Croatia thwarted time, space and supply for Mbappe in the first half (yet still led at the break) by winning the midfield, but his early run early on the second, where he underlined his frightening speed, was ominous. As space then opened, Mbappe cut loose to send Croatia's defence scrambling to block a shot, before he cleverly cut back for Paul Pogba to score on the second attempt. 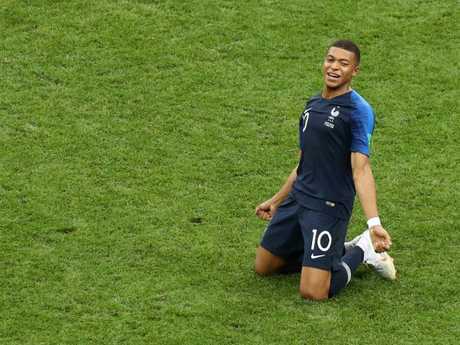 Mbappe then drifted inside, and unleashed a vicious shot from long-range to underline the most impressive repertoire of world soccer's emerging stars. Game over. As per France's modus operandi in Russia, this was a professional and efficient France performance - two goals from one shot on target. Les Bleus did their homework on Croatia and set about exploiting their deficiencies at defensive set pieces. Antoine Griezmann rose from the floor with a sense of purpose after sucking the referee into awarding a soft penalty just outside the penalty area, collapsing to the ground before Marcelo Brozovic made contact. Knowing this presented a glorious opportunity, Griezmann executed superbly a low, flat cross that was glanced Mario Mandzukic's head en route to the back of the net - the first own goal in the history of a World Cup final. Ditto 10 minutes later, when Griezmann whipped in a sublime corner that got the faintest of touches before striking the hand of Perisic, who didn't know much about it. Nor did the ref until getting the call from the VAR. Harsh but fair. There was no stage fright for Croatia, who played as if they belonged on this grandest of stages, but the second half was going to be a challenge even before Mbappe seized control. Didier Deschamps' withdrawal of Kante was also decisive, with Croatia's dominance for the first hour leaving the Chelsea terrier vulnerable even without his early booking. Croatia were superb throughout this tournament and left with their heads held high, with Luka Modric capping off another display of class with the golden ball award. 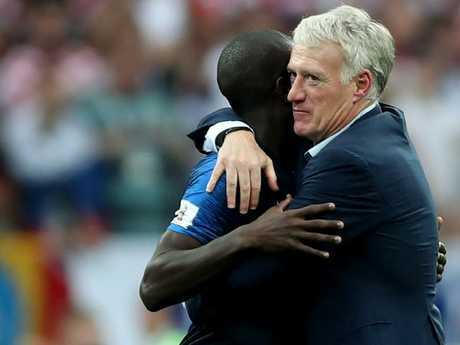 France got everything spot on this tournament and timed their run to perfection, reaching one almighty crescendo in Moscow today to join Argentina and Uruguay on two World Cup victories. Without Mbappe, whose moments of explosive brilliance decided several games including the Argentina Round of 16 clash, Les Bleus would have been knocked out long ago. The scary thing is, he's just 19 and will only improve, meaning he has the potential to be deciding 2022, 2026 and even 2030. The future looks bright for Les Bleus.